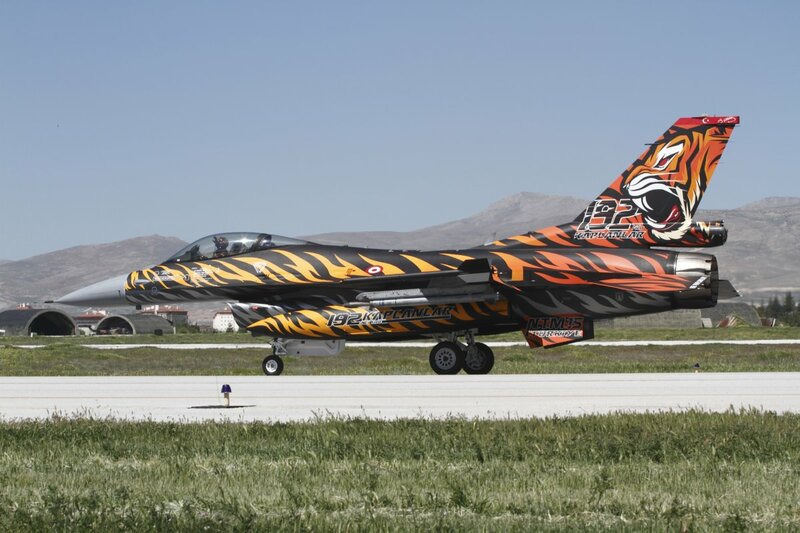 NATO Tiger Meet 2015 was held on May 4th to 16th, at the 3rd Main Jet Base at Konya, which is located in the central region of Turkey. 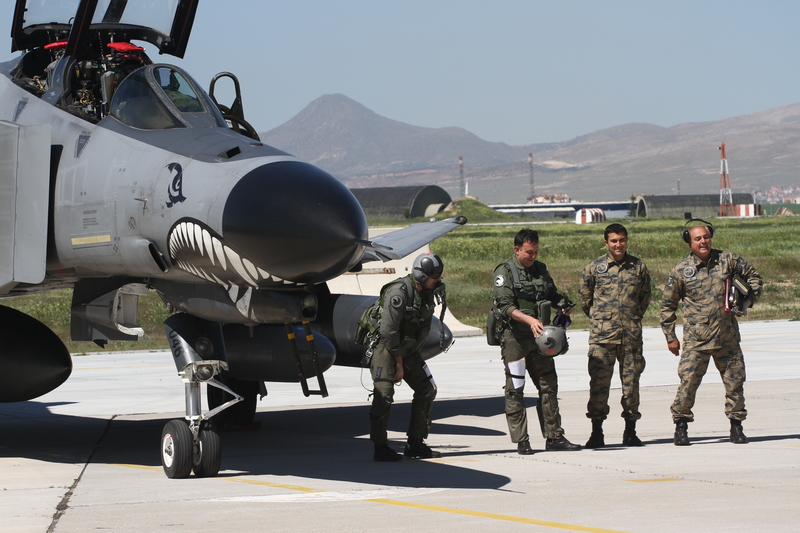 Additionally staff of the Hellenic Air Force 335 Mira from Araxos joined as observer. 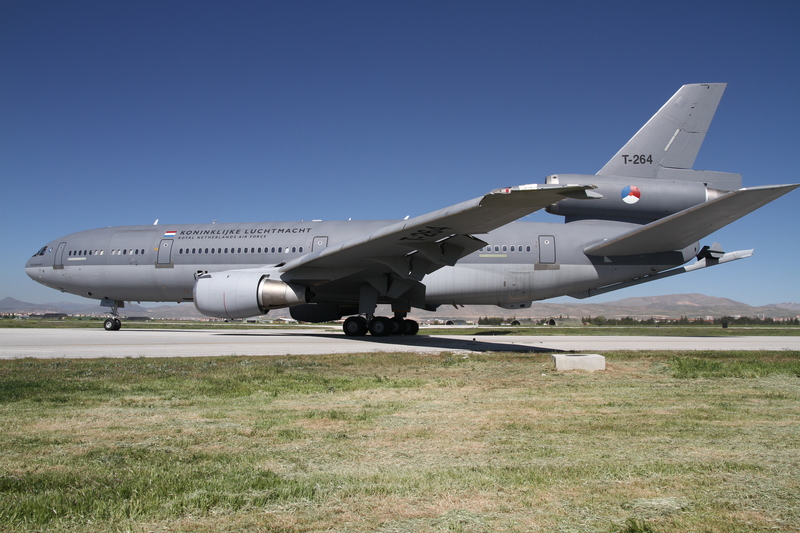 For the Combined Air Operations (COMAO) missions a Royal Netherlands Air Force (RNLAF) KDC-10 was also deployed to provide tanker support. 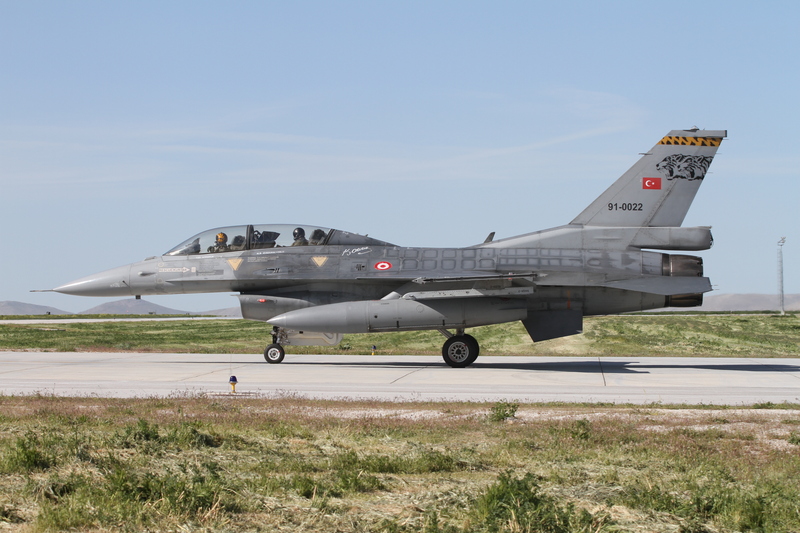 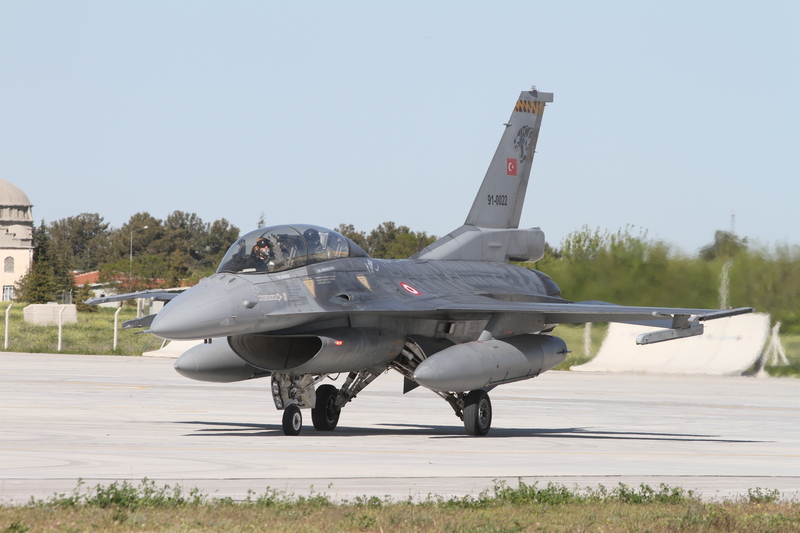 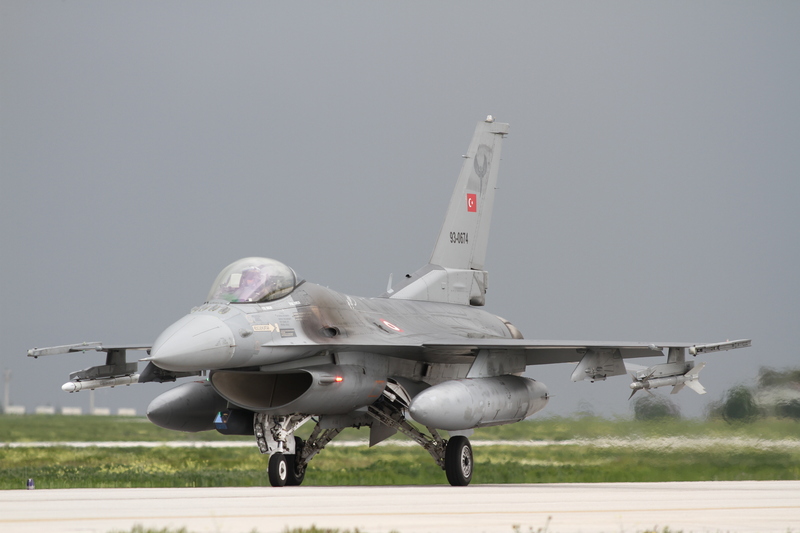 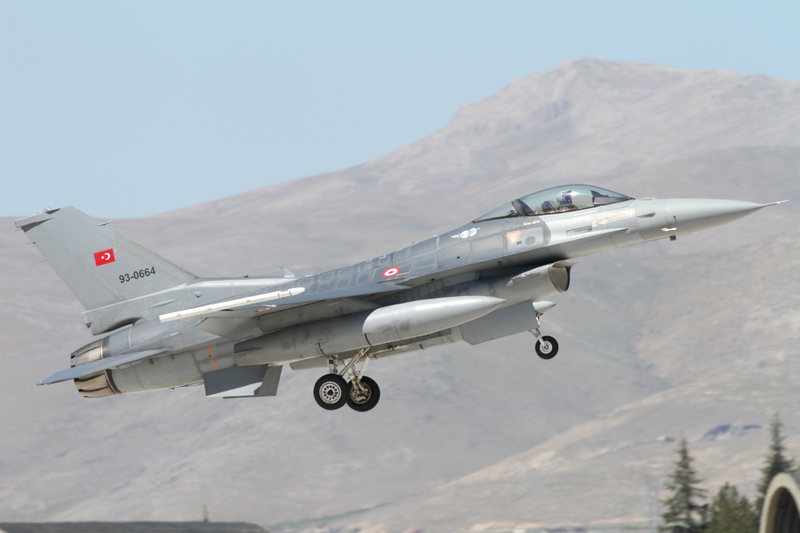 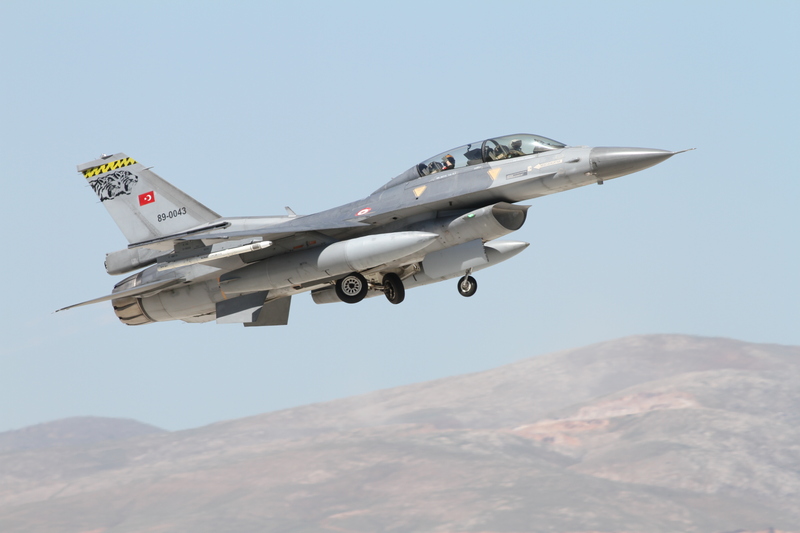 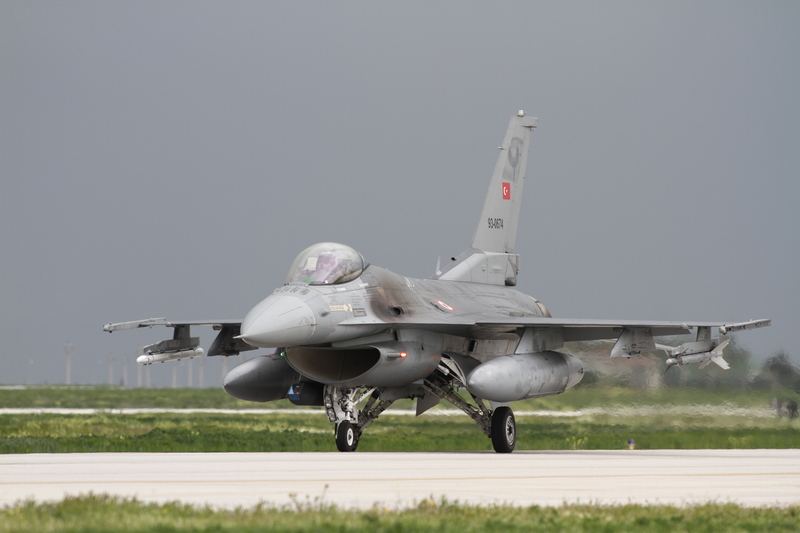 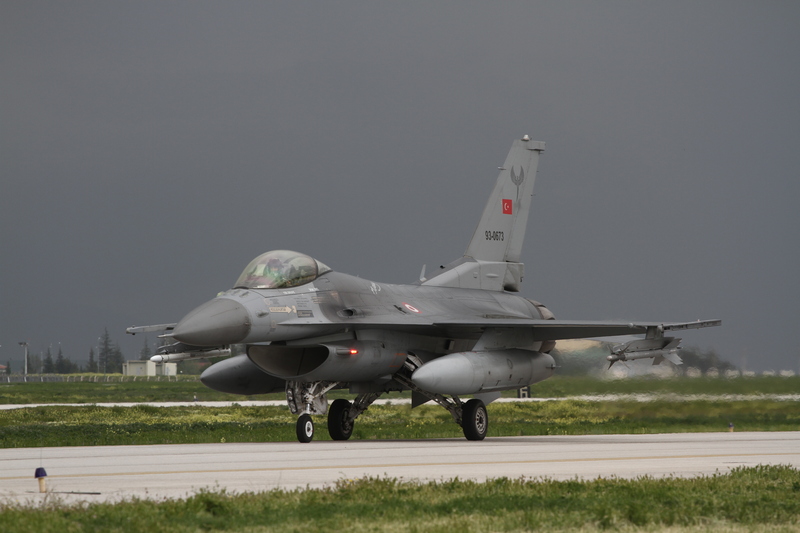 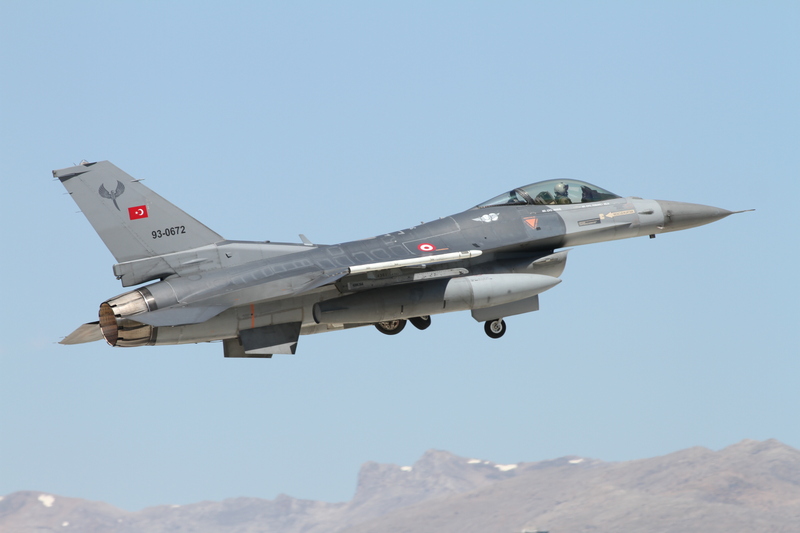 The Konya-based 132 Filo provided the opposing Red Air in the form of up to eight of its F-16C/D Fighting Falcons. 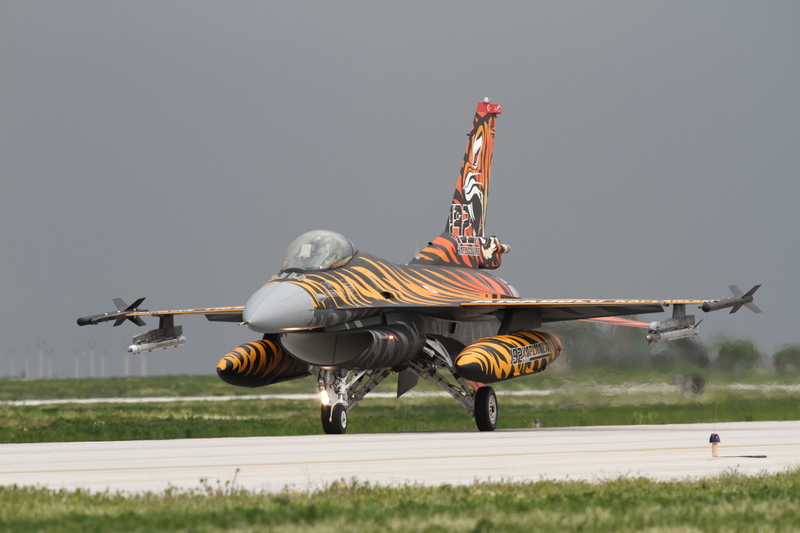 I visited the NATO Tiger Meet during the spottersdays at the 7th and 8th of May. 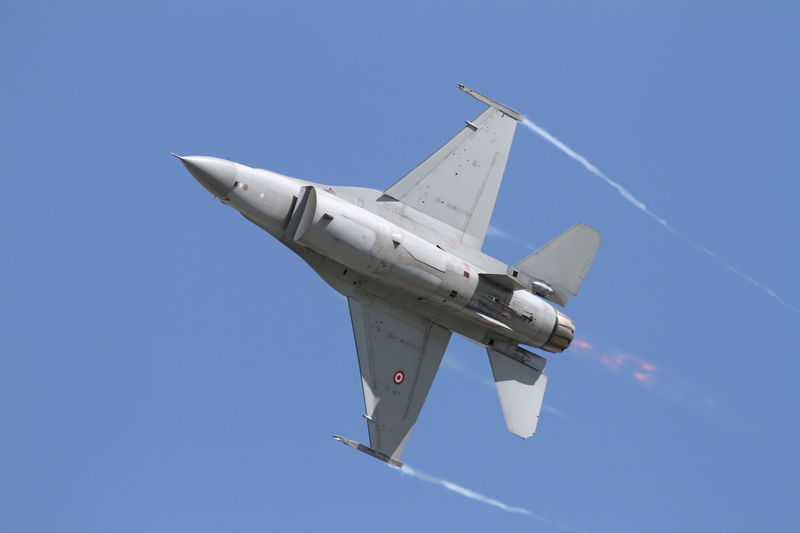 The 7th May was a great day with a lot of sunshine. 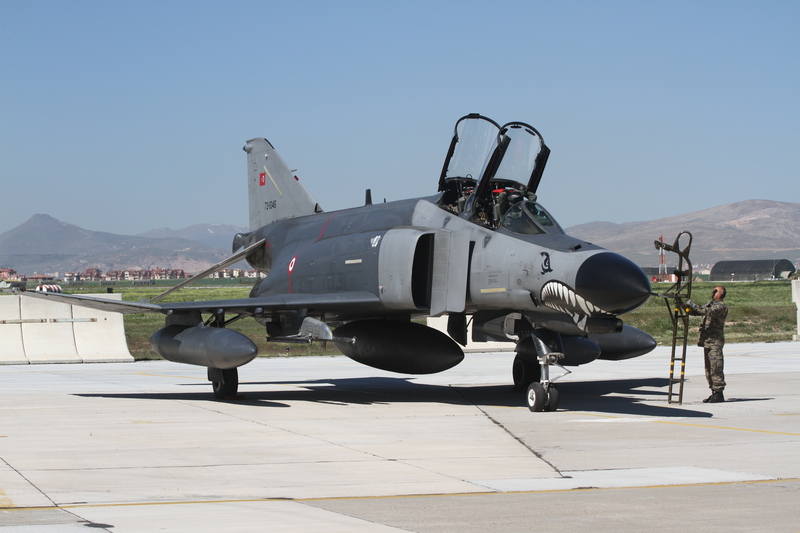 The next day however, the weather didn’t play ball and the afternoon flying was cancelled because of serious thunderstorms and heavy rain. 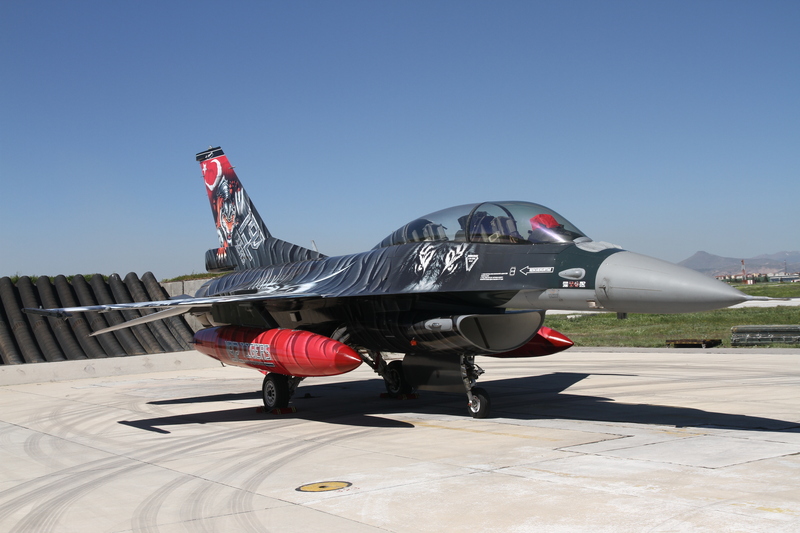 F-16D of TuAF with eye catching tiger scheme. 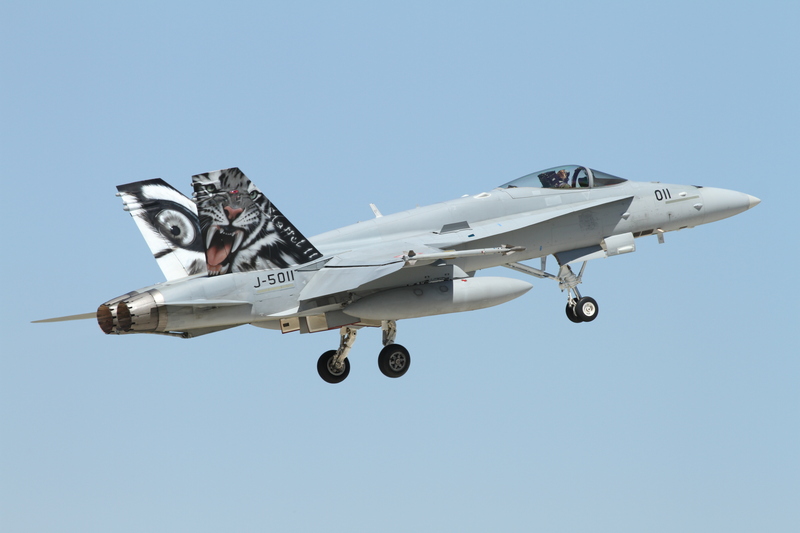 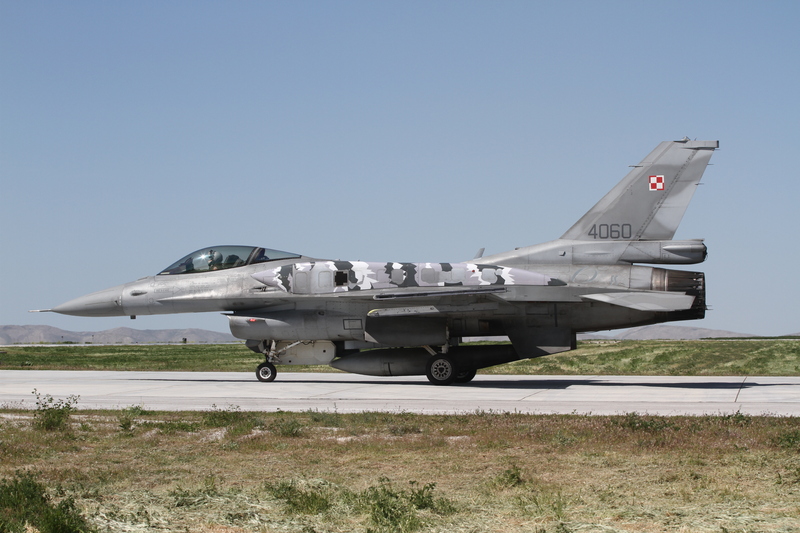 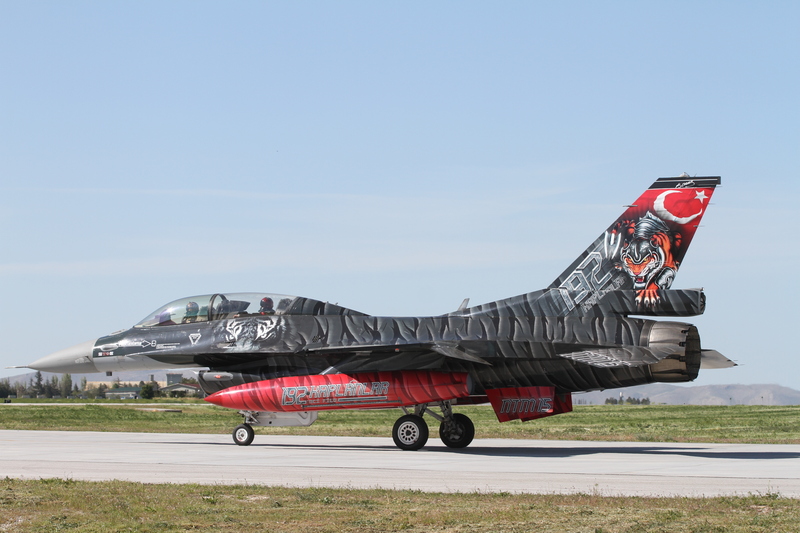 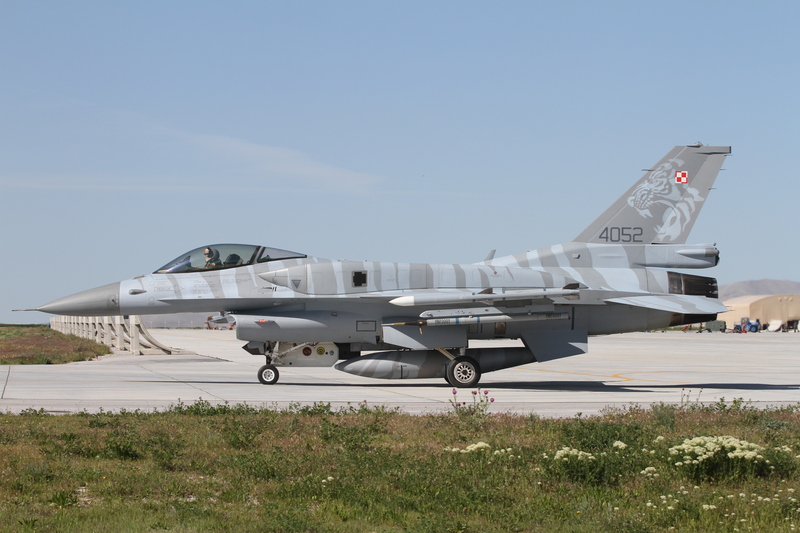 The first aircraft that attracted most eyes, was a specially painted Tiger scheme F-16D of 192 Filo. 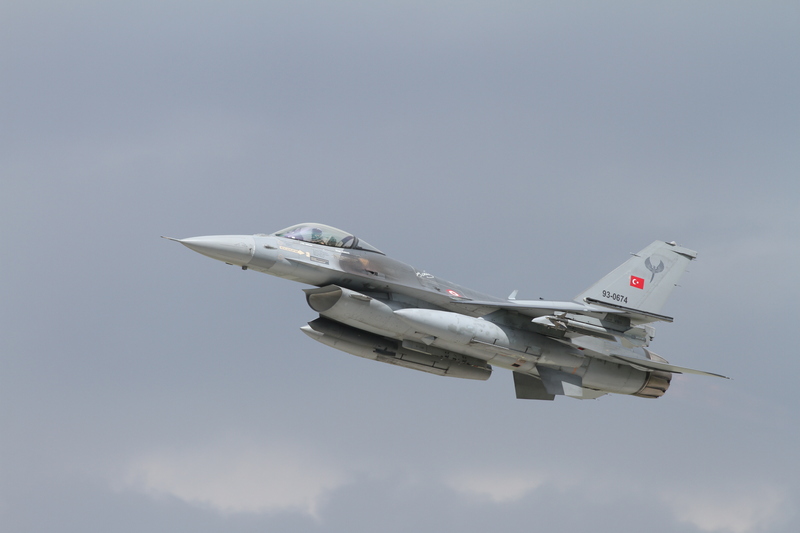 Before the practice started, Solotürk and colleagues gave a fantastic display with a couple of F-16’s. 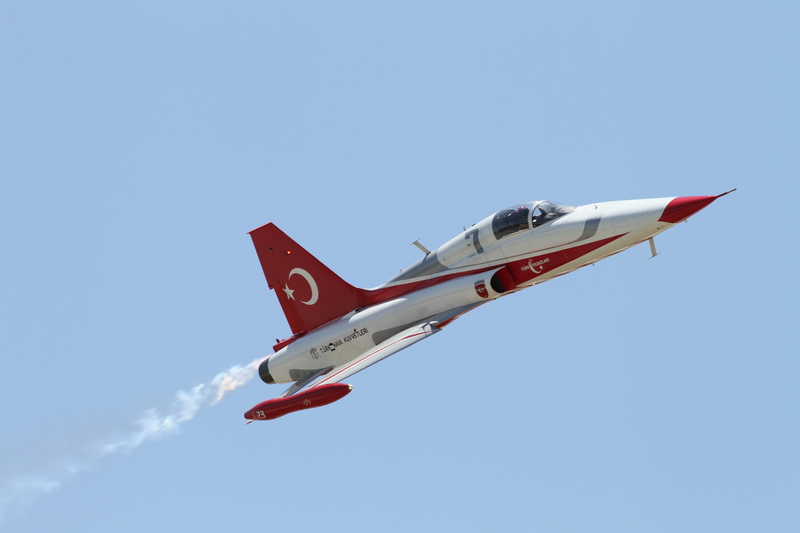 Also the Turkish Stars were about to do their show, but due to technical problems they had to postpone until the afternoon. 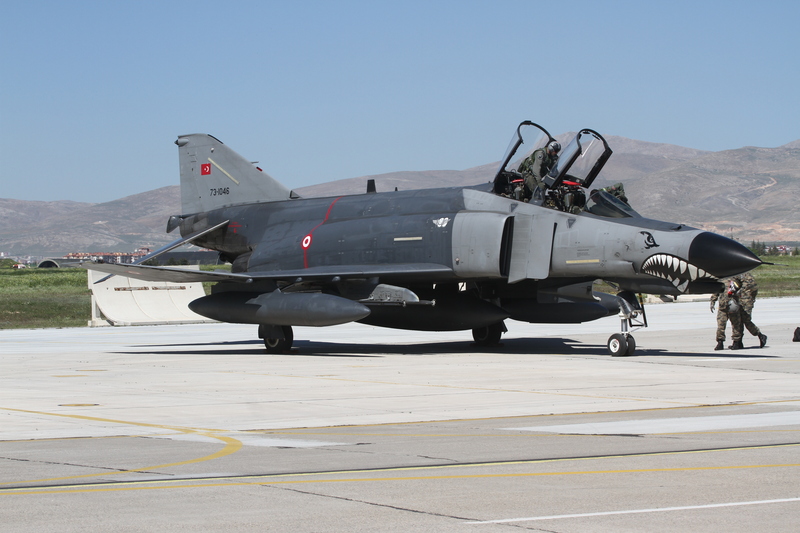 During the morning two F-4E Phantoms came in after a fly-by and were most welcomed by everyone. 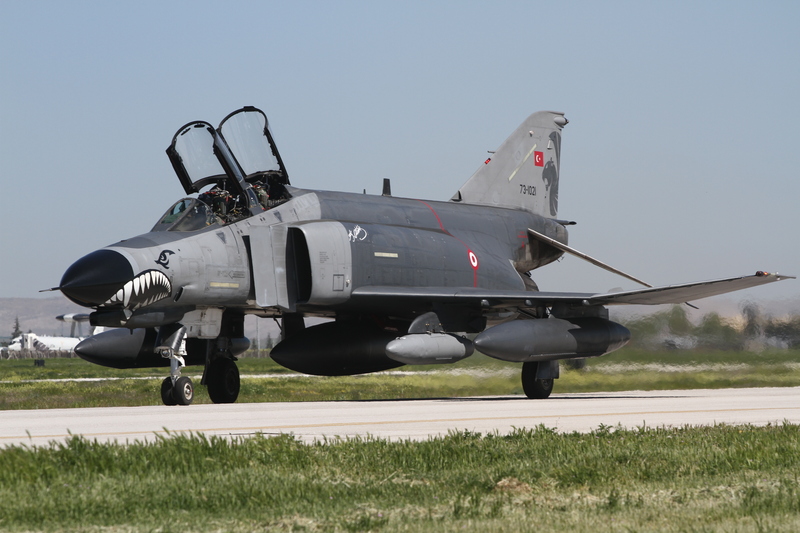 One of the two F-4E’s that did not participate Tiger Meet 2015, but were very welcome visitors. 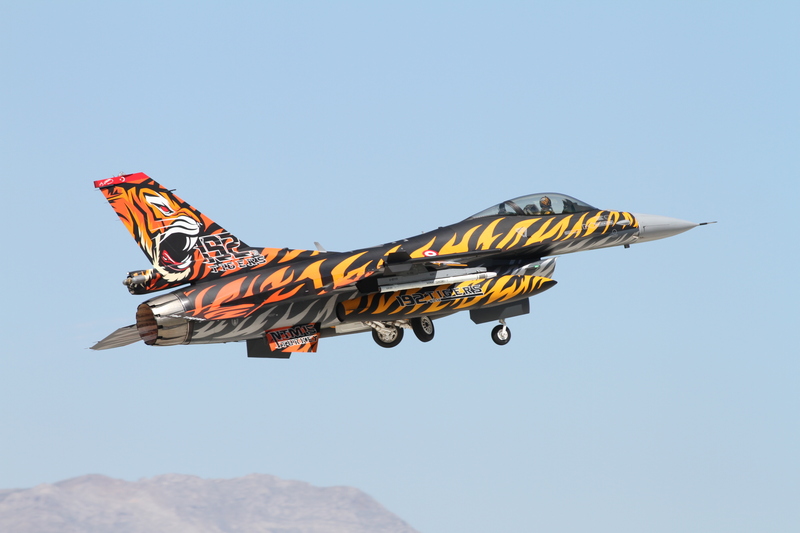 Then the first Tiger Meet aircraft started their engines and slowly came rolling by at the taxitrack, where we were standing literally a few feet away. 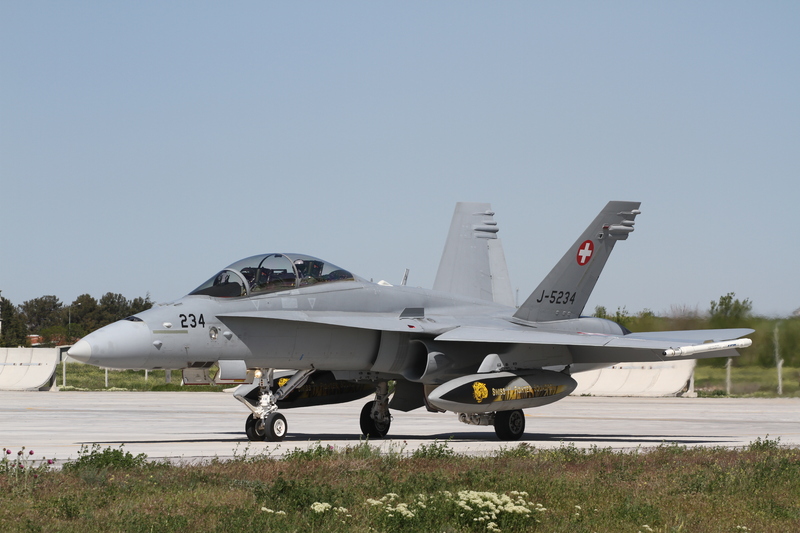 The pilots did all possible to give us photographers a nice picture and stopped several times during taxiing and parked their aircraft nicely into the sun. 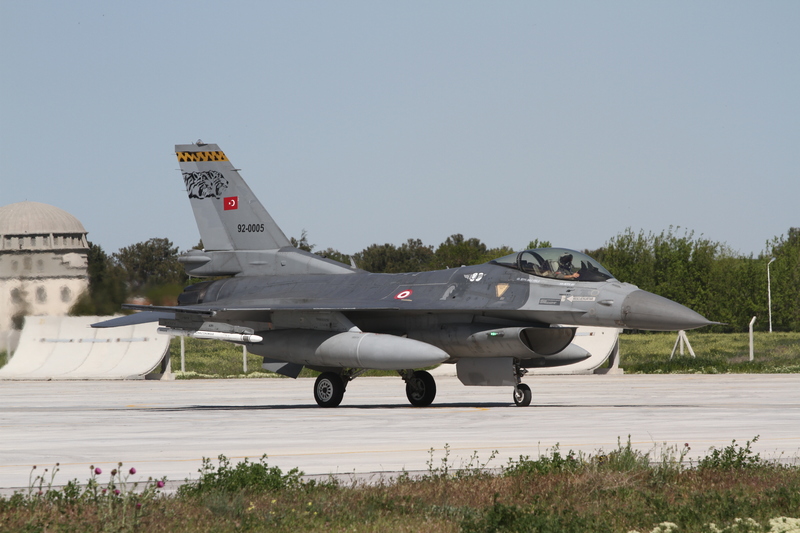 In addition to the darkgrey-black F-16D, the Turkish Air Force presented a fantastic yellow-orange-black F-16C. 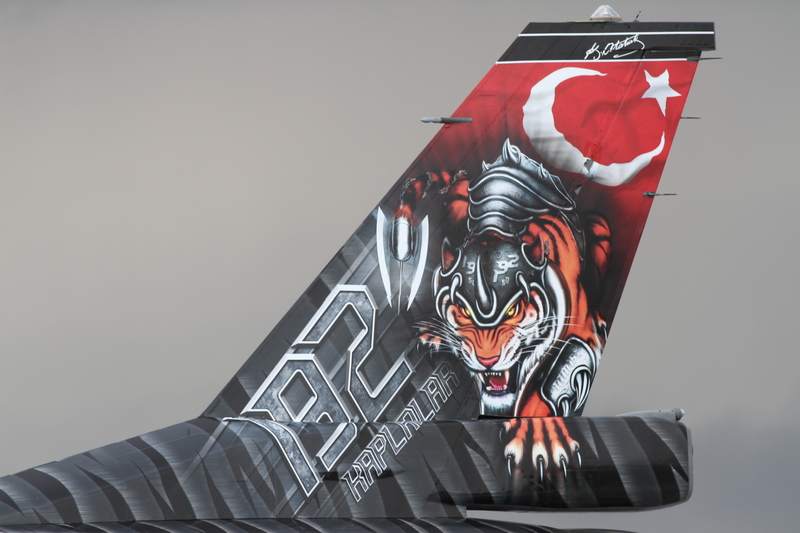 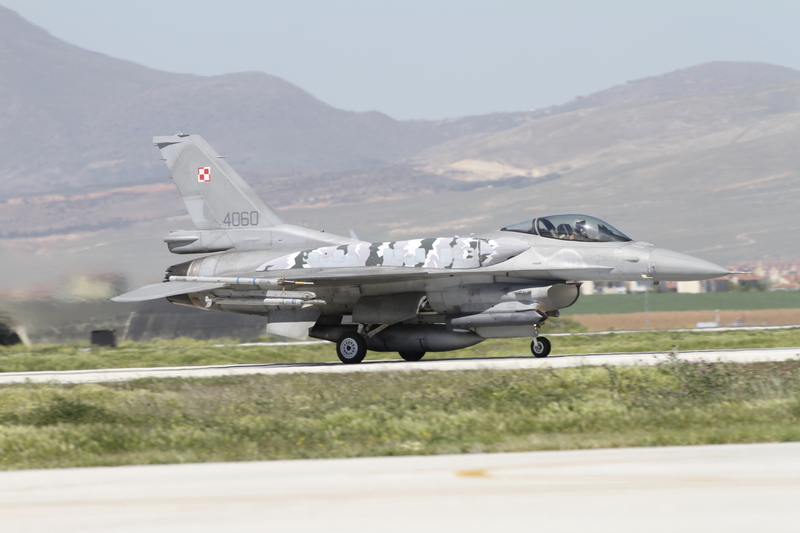 The Polish Air Force brought some old tigers to Konya but the surprise was a new grey/blue scheme on one, which looked really fantastic. 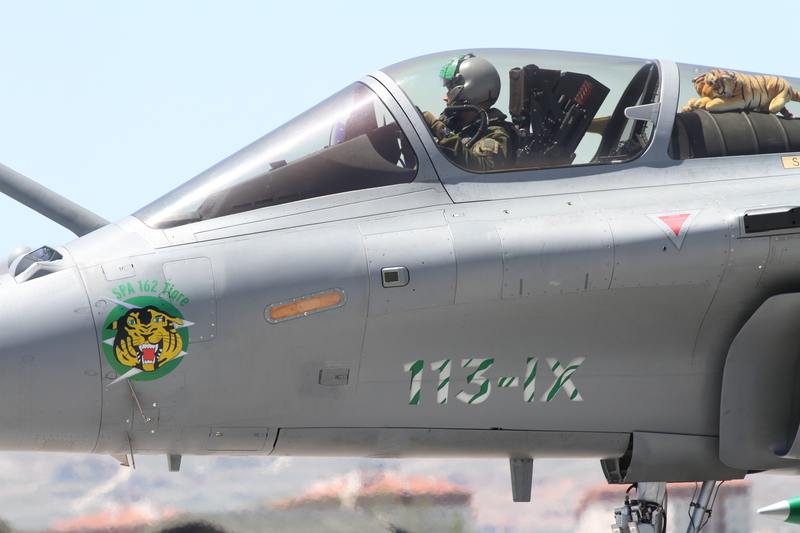 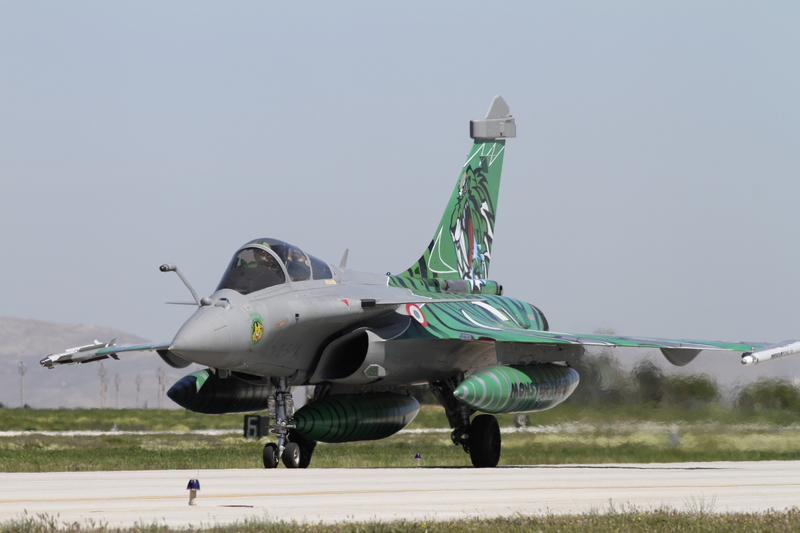 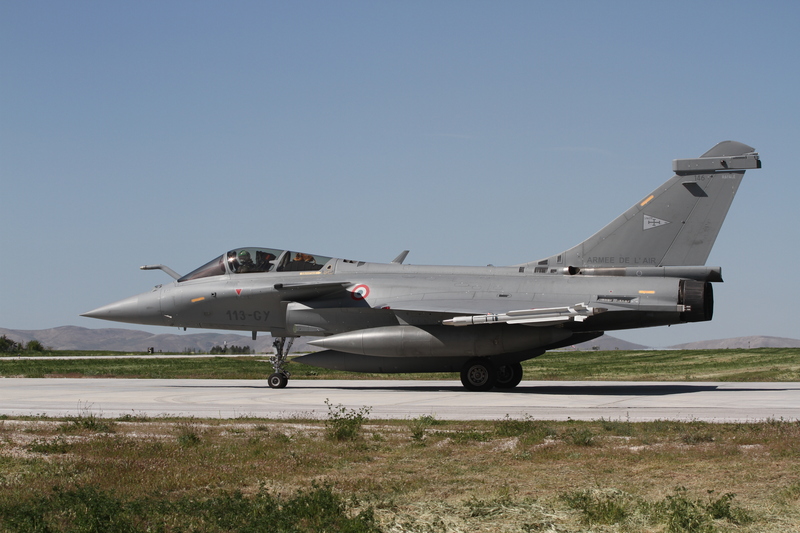 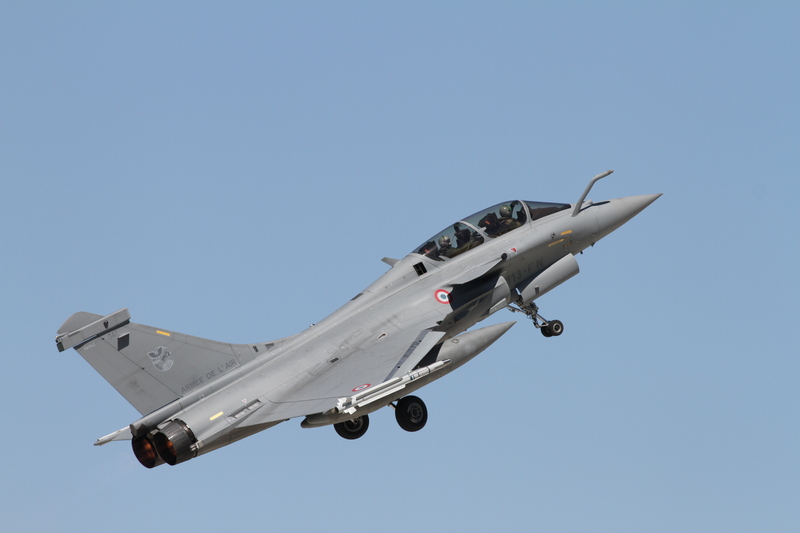 No new design from the Swiss Air Force this year, but the French had painted a Rafale C in an unusual green color. 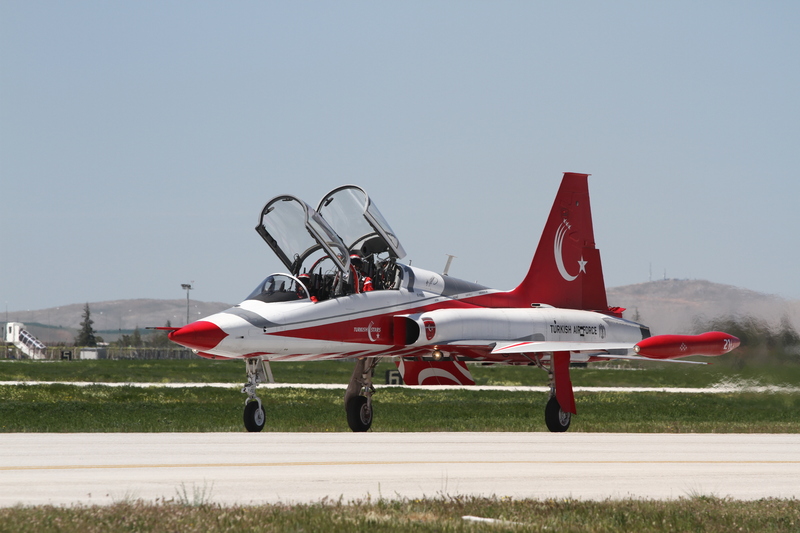 Single seat Turkish tiger taking off for another COMAO mission. 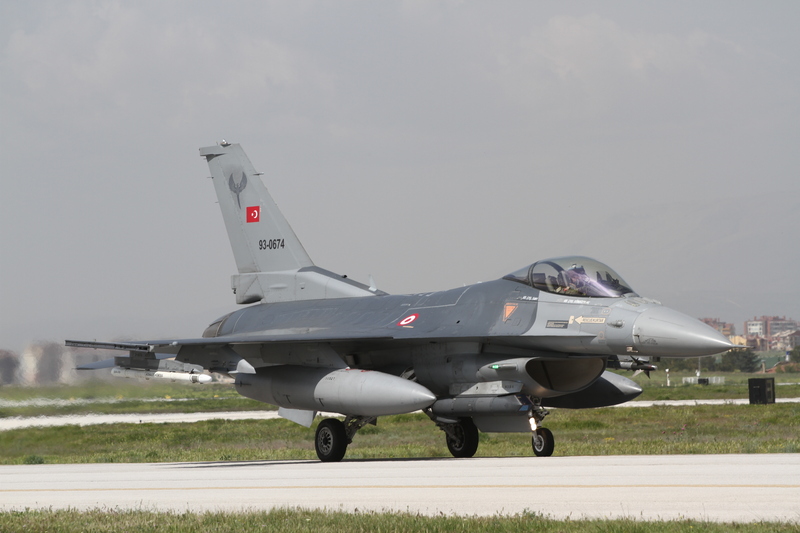 Because of the sun turning into our lenses in the afternoon, we requested to move to the platform where all the fighters were parked. 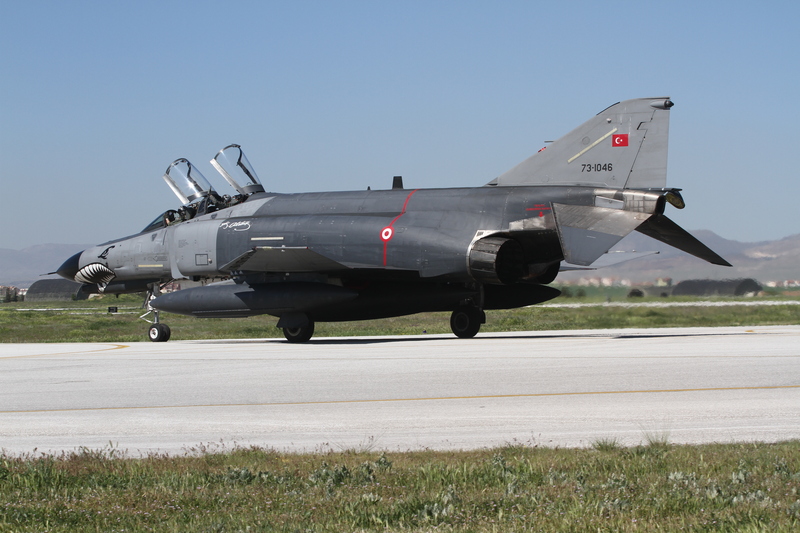 After some reluctance the Turks approved to let us stay next to the taxiway where aircraft left the platform heading for the runway. 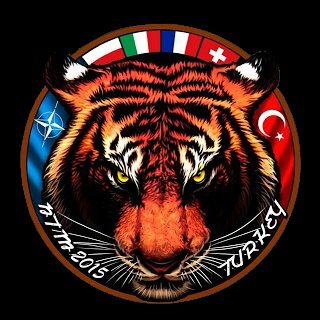 Day 2 would bring us very different circumstances. 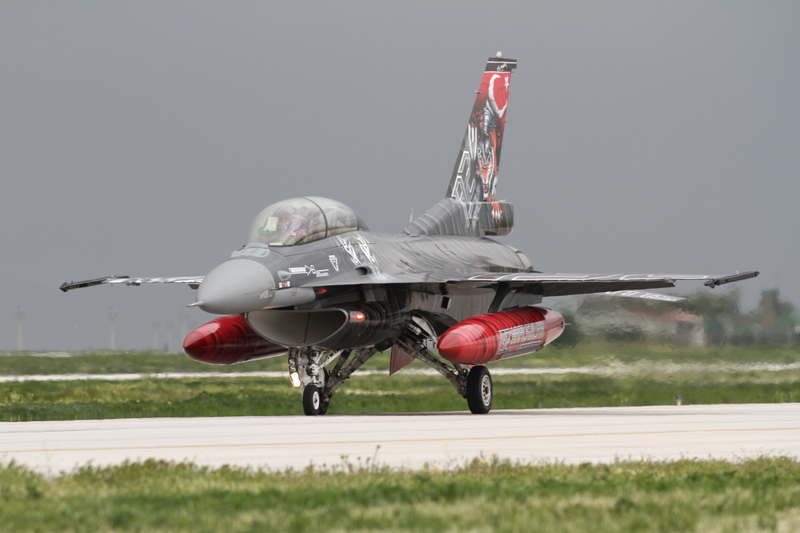 Due to the upcoming storm the practice was cancelled. 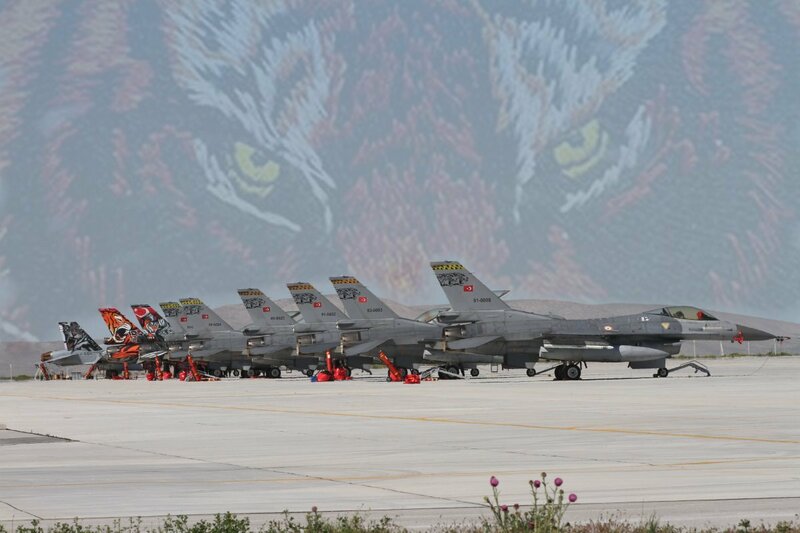 But the Turks showed great consideration for us by having a mass launch of “Red Air” and commencing a Tiger parade before the weather closed in. 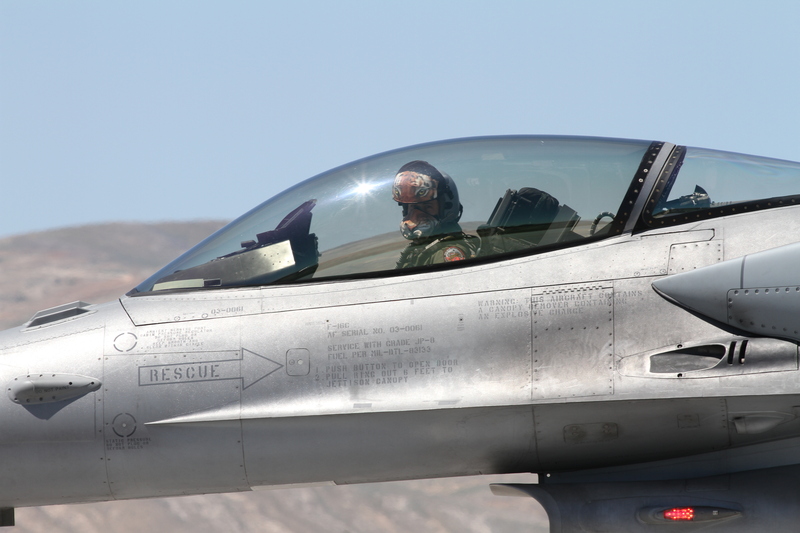 But very soon we had to take shelter to escape the thunderstorm. 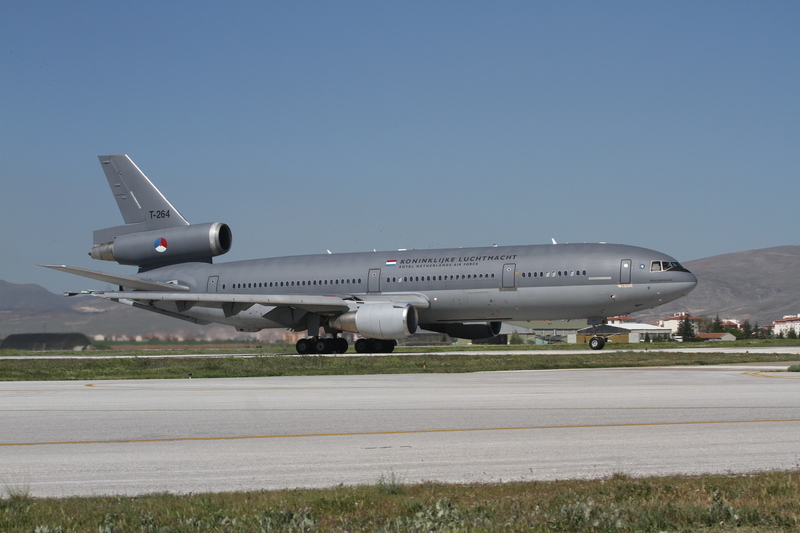 Flying was definitely scrubbed for the day shortly afterwards and at that point we returned to our hotel. 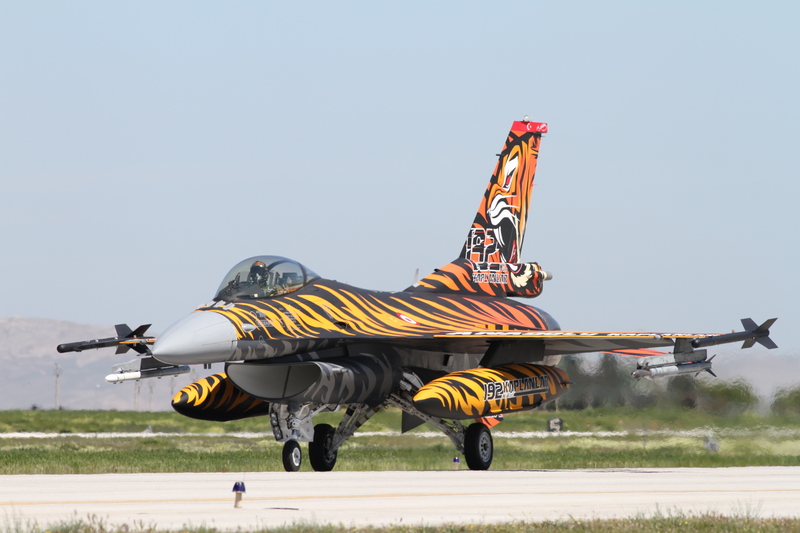 Despite the limited number of participating countries, Tiger Meet 2015 was worth the effort and I was glad I was there! 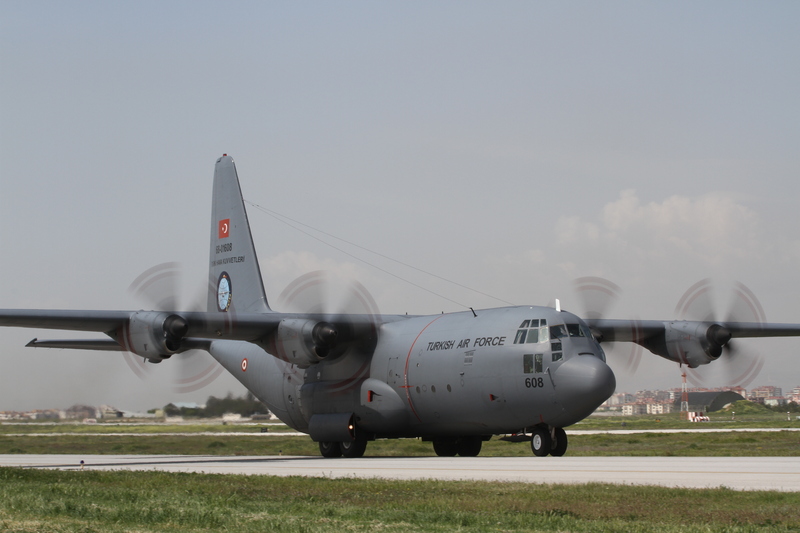 Our thanks must go to the Turkish Air Force at Konya Air Base and the organizers of these spotter days. 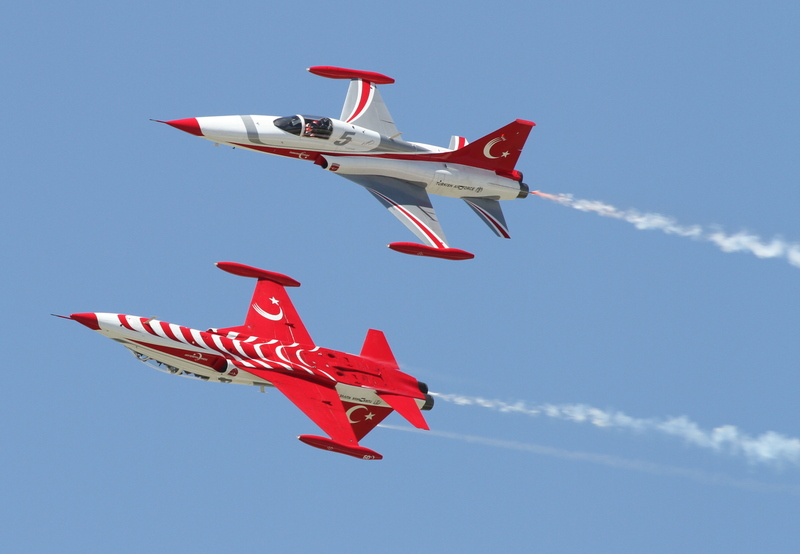 Not just for hosting us, but also for the cooperation they showed.